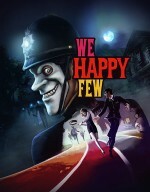 We Happy Few tells the story of a society hopped up on literal happy pills, trying to avoid anything that interrupts its collective high. 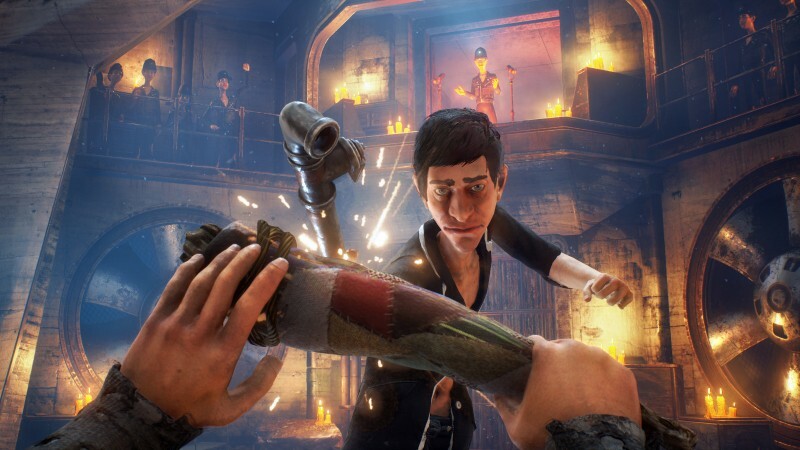 Similarly, playing We Happy Few is often intoxicating, but the high is interrupted by small issues that prevent it from attaining pure bliss. 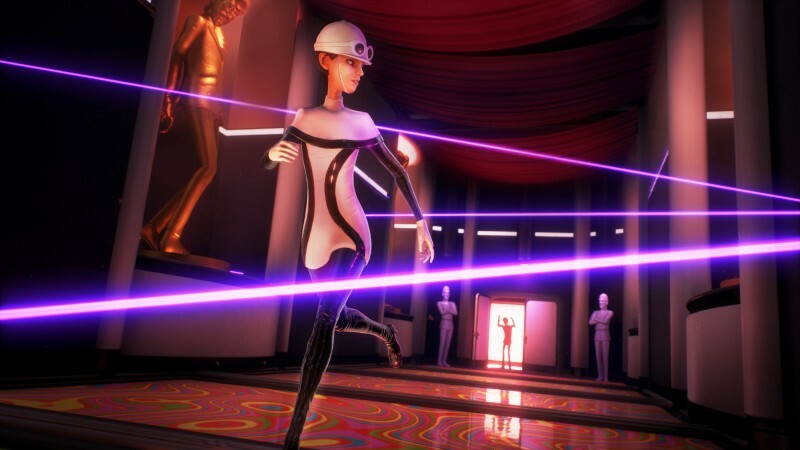 Thankfully, an intriguing world full of fascinating mysteries and enjoyable missions make Compulsion Games’ dark, open-world title worth the journey down the rabbit hole. Players explore Wellington Wells, a British archipelago devastated by the war and cut off from civilization in an alternate version of 1964. The government mandates that citizens take Joy, a hallucinogenic drug that instills an overwhelming sense of bliss in its users. Those who have rejected Joy are exiled, and those who dare enter the city noticeably sober are chased and beaten by citizens and police alike. You control three characters, each with their own campaign, as they reject the drugs and try to escape to the mainland. 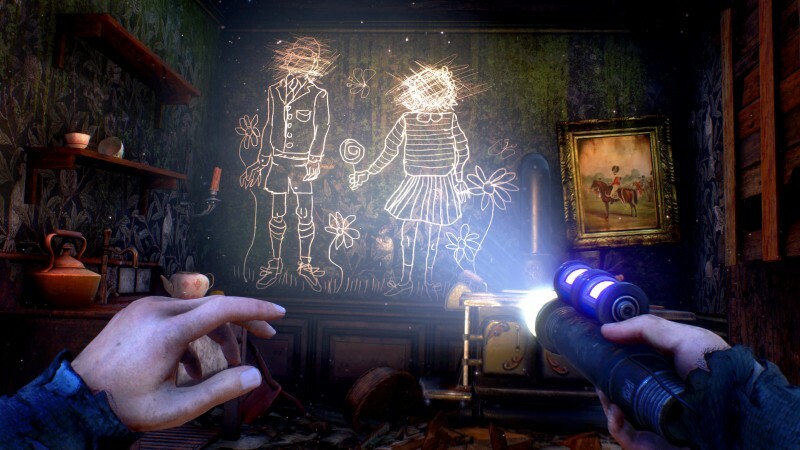 Each character feels separate thanks to distinct skill trees and unique attributes; Arthur can blend in and run fast, Sally is an influential chemical genius who can craft the highest-tier concoctions and walk outside without suspicion, and Ollie is a brash brute with the ability to hit harder, carry more items in his inventory, and tinker with mechanical creations. Each character’s story is compelling, and by the time they wrapped up, I was fully invested in their individual struggles. 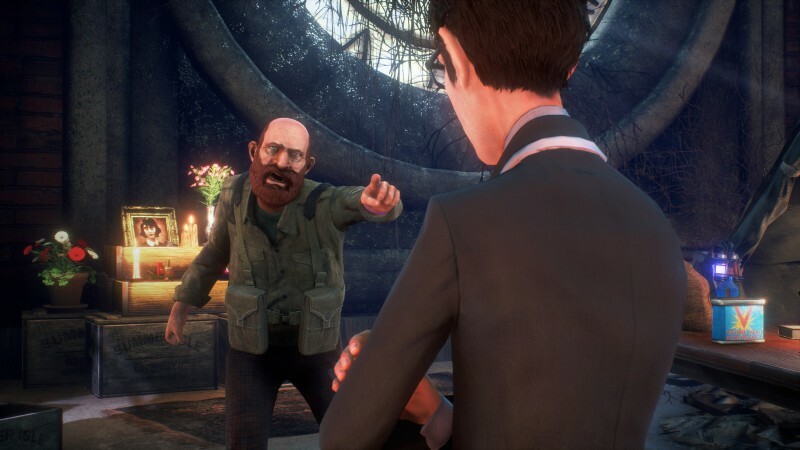 Tense stealth sequences, frantic chases, and desperate fights help the main and side missions create exciting scenarios; sneaking into the belly of the beast past tons of hostile NPCs on your way to revealing a massive conspiracy is thrilling. However, the missions are too often fetch quests, and getting a single item frequently turns into an annoying chain reaction of favors for multiple NPCs. As missions push you to retrieve items and help people from the various islands, you continually bounce between society and the outskirts; this can be problematic, since you must conform to your current area in both appearance and mental state to avoid angry mobs. When the inevitable misstep occurs and you’re thrown into combat, fighting is a simple-yet-enjoyable experience with first-person melee combat that keeps you blocking or attacking with an eye on a stamina meter. Weapons break after steady use, but I always had a realiable supply of backups so I never felt strapped for a weapon after the initial moments. You can also upgrade weapons to augment their attacks with elements and ailments. For example, one late-game weapon I crafted was not only indestructible, but delivered stunning electrical damage and upgraded damage. Weapons aren’t all you find. 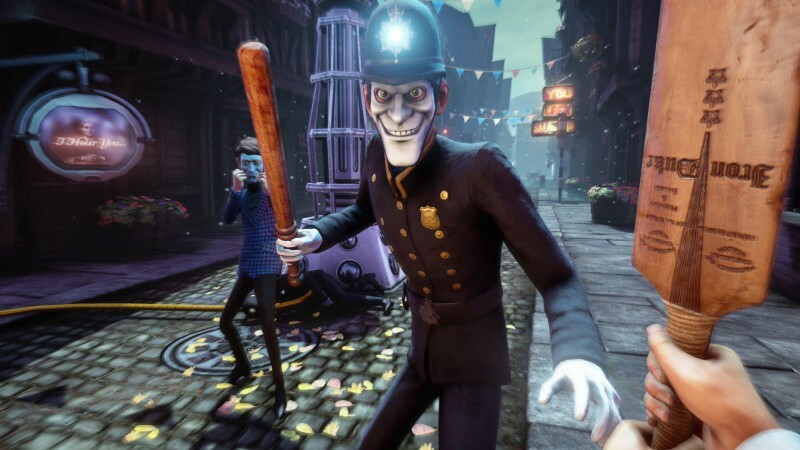 We Happy Few is a loot-fest that practically requires you to scrounge everywhere you visit. Finding a huge cache of resources never ceases to excite. However, some missions require you to have certain crafting items in your inventory to progress. On a few occasions, my progress was halted for hours as I struggled to stumble upon the object I needed. While you’re able to continue with side missions and other exploration while you scour for that item, it slams the brakes on your progress for the mission you were working on. This issue of not being able to find essential resources carries into additional mechanics introduced in the second and third campaigns. Without spoiling anything, Sally has something at her house she needs to tend to regularly throughout the campaign. Ignoring her obligation slowly eats up inventory space until she returns home to complete her duties. Similarly, Ollie’s blood sugar drops rapidly and he must regularly take glucose injections or his stamina is dramatically cut and he hurtles insults at random passersby, inciting fights. While these are fun ideas, the execution often makes for unfun situations. Interrupting the enjoyable flow of the missions to regularly trudge back to Sally’s residence is irritating, and I often struggled to find the necessary ingredients to craft the items needed for both Sally and Ollie. Dropping weapons to free up Sally’s shrinking inventory space, or playing through part of Ollie’s story with half stamina because I can’t find any syringes emphasizes the restrictive mechanics rather than the things the game does well. 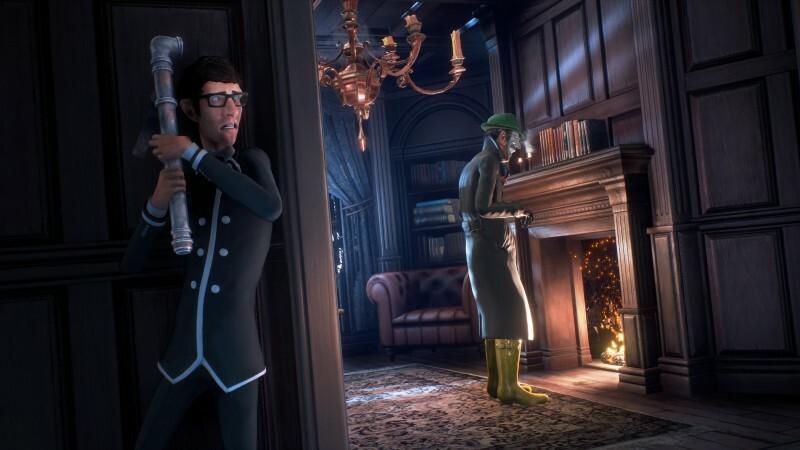 We Happy Few also suffers from technical issues, ranging from NPCs falling through the floor to showing they lack contextual awareness by yelling at you to get out of their house when you’re not in a house. On multiple occasions, I was in the middle of a fight and an enemy got stuck torso-deep in the floor. I never encountered any game-breaking bugs, but these problems broke the immersion on multiple occasions. 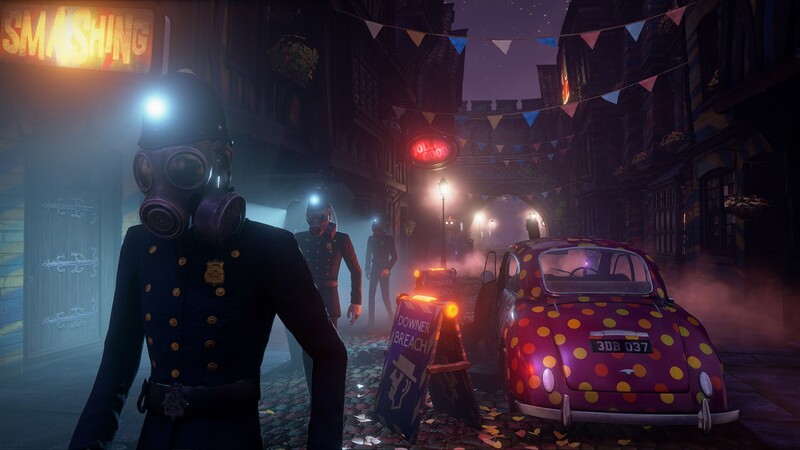 While We Happy Few is dragged down by irritating missions, scarce-but-necessary resources, and technical blips from time to time, it’s a fun adventure that combines an eerie atmosphere and a gripping narrative to great effect.